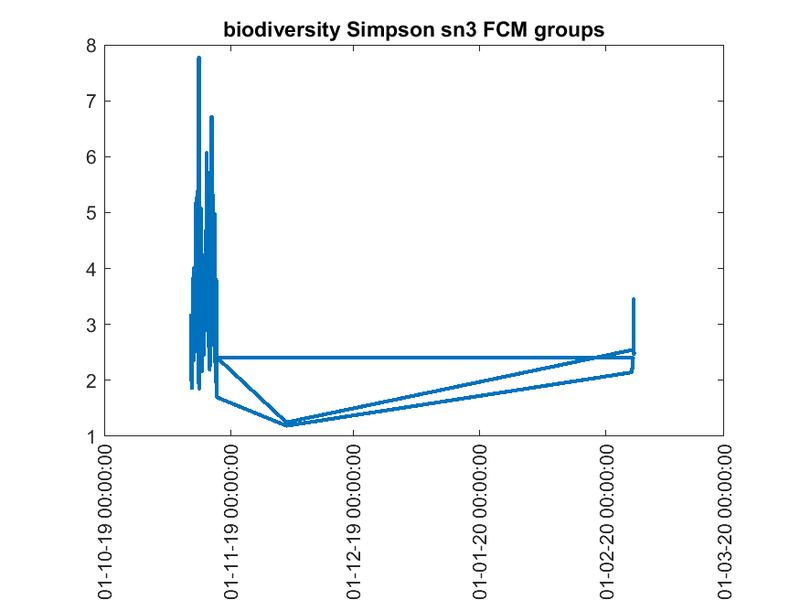 The Simpson index is an expression of a value, which represents the diversity or dominance of found FCM groups. Particles with similar optical properties are clustered into groups or clusters. Sometimes, these clusters contain pure phytoplankton species of one kind, but it is also possible that it consist of several fytoplankton species due to similar optical properties.